Teaching the English language and computer skills to the disabled, elderly and general public for improved communication in the international global world. Walt came to the classroom today. We were happy. May　4th 9:00~17:00 room 2　4th English class will canceled. Today’s teacher: Masanori. Supporter: Doug. Photo: The lecture of “verb”. The lecture of Masanori was a “verb”. <get> <have> …… review. We practiced speaking about “travel” one by one. Photo: Akie was speaking about the legend of Kurohime-yama. English song of this week is a request of Shin. “Forever Man” _ Eric Clapton. Today’s teachers: Doug, Akiyuki, Takuya, Kim. Participants: Makkun, Isamu, Michael, Akie, Kato, Karin, Sanae. Sanae: Editor, Hibiki no Kai Newsletter. New Hibiki home page http://hibikinokai.org Please open! Akie’s essay http://ameblo.jp/spillum/entry-10928169573.html Please open! hibiki-echo300879 Newsletter, April, 20, 2014. Masanori had a meeting for the Hibiki with Doug and Takuya. We practiced speaking one by one about “hate” (unpleasant). English song of this week is a request of Michael. “Endless Love” _ Diana Ross & Lionel Richie. Participants: Makkun, Isamu, Michael, Karin, Sanae. 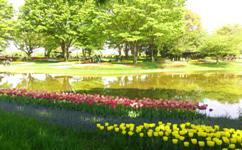 Photo: Showa Kinen Park. April, 24, 2014.